More Music Festivals Rolling Through! 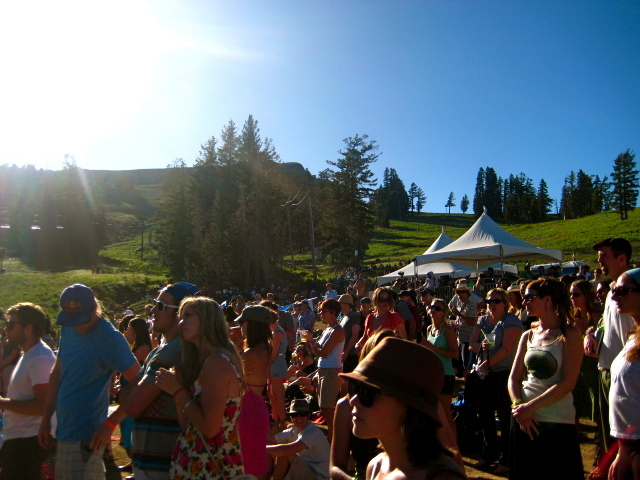 It seems as though music festivals are an endless journey. When one music festival comes to an end, another one commences. Outside Lands came to an end this past Sunday as Burning Man kicked off the same day. What’s up next? Check out these festivals coming up in the next couple of months. Whether you’re a hippy, rocker, hipster or just a fun-lovin’ music geek, there’s a lil something for everyone. Featuring: Black Lips, Lucero, The Thermals, No Age, Matt Skiba from Alkaline Trio, Peanut Butter Wolf, AA Bondy, Mika Miko, Nobunny, Glass Candy, Telepathe, The Strange Boys and MORE! Sept. 10-12, 2009 @ Various Hollywood Venues and Sunset Blvd. Featuring: OZZY OSBOURNE, KORN, Shiny Toy Guns, Shwayze, LMFAO, The Donnas, Unwritten Law, The Knux, Iglu & Hartly, Iration, The Pricks, and more! Featuring: Les Claypool, Coco Rosie, Os Mutantes, Yard Dogs Road Show, Amon Tobin, Bassnectar and many more! Featuring: Michael Franti & Spearhead, Edward Sharpe & The Magnetic Zeros, Mad Caddies, No Use For A Name, Har Mar Superstar, Zach Gill (ALO) & Kyle Hollingsworth (String Cheese Incident), Dead Country, and many more! Featuring: Yeah Yeah Yeah, Pearl Jam, Them Crooked Vultures, The Dead Weather, Dan Auerbach, Andrew Bird, Mos Def, Bon Iver, Citizen Cope, Sonic Youth, and so many more! Featuring: MGMT, The Flaming Lips, Girl Talk, Grizzly Bear, The Decemberists, Passion Pit, Yo La Tengo, Dan Deacaon, Tommy Guerrero, and many more! Featruing: Umphrey’s McGee, Tea Leaf Green, The Mother Hips, Big Light, New Monsoon, Pimps of Joytime, Hot Buttered Rum and more! Featuring: Phish! (duh) They’ll be playing eight sets across three days. Featuring: Danzing, Of Montreal, No Age, Face to Face, Youth Brigade, King Khan and The BBQ Show, Cool Kids, Mika Miko, Crystal Castles, 7 Seconds, D.R.I., and more! This entry was posted in Uncategorized and tagged Austin City limits, burning man, Fyf fest, music, music festivals, Outside Lands, treasure island on September 2, 2009 by Sandra Burciaga Olinger.